A child has been left with critical injuries, and other members of her family have also been hurt, following a freak incident at the Redcliffe Paceway last night. A PROMINENT driver and his family have been involved in a freak accident at Redcliffe Paceway that left a two-year-old girl fighting for life. Gary Whitaker and his daughter Lara were struck by the gate on a pace vehicle yesterday when it failed to retract as they were standing on the sidelines. As a result, the little girl suffered critical facial and abdominal injuries and was taken to the Queensland Children's Hospital where she remains in a critical condition. Gary, his wife Joedy and the couple's one-year-old son were also taken to hospital. The young boy spent the night in hospital with non-life threatening injuries. A small child has been left with critical injuries following a freak incident at Redcliffe Paceway last night. The ambulance service said paramedics faced a chaotic scene when they arrived, but worked quickly to help the family. Mrs Whitaker has since thanked the racing community for its support. "Thank you for all of your lovely messages. Gaz has been released with a large cut to his head. Josh and Lara are both spending the night in ICU at Lady Cilento," she said on social media, according to industry publication National Trotguide. Secretary of Marburg Pacing Association Denis Smith said Gary would be out for some time. "He's a very highly rated driver, high profile, he's driven for me plenty of times," Mr Smith said. The family are from Kensington Grove, in the Lockyer Valley. Mr Whitaker was 10th on the Metropolitan Drivers table for the 2017/18 season with 17 wins and 16 seconds from 195 drives. Ms Whitaker previously worked for Marburg Pacing Association as the treasurer but reportedly left to focus on raising her two children. Mr Whitaker reportedly drove in two earlier races before the incident yesterday. Racing Queensland said there would be little information on the incident due to ongoing investigations by police and Workplace Health and Safety Queensland. 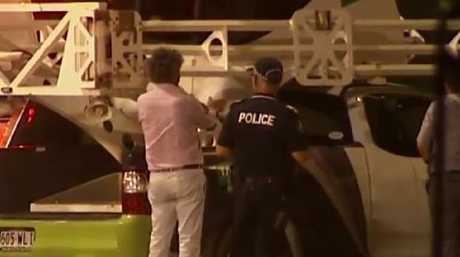 Police are assisting with the Workplace Health and Safety Queensland investigation. The Redcliffe Harness Racing Club thanked those who assisted on social media. A CHILD is fighting for life following a horrific incident at a paceway club in Queensland's Moreton Bay region last night. Preliminary investigations suggest just before 7pm, the gate of the starting vehicle at Redcliffe did not retract and hit a group of people watching the race. 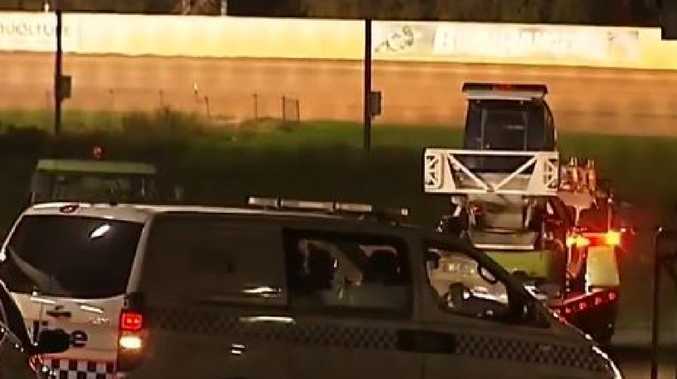 Police say it was harness racing which has a motorised start gate, once the horses reach the starting pole the vehicle pulls away and the arms of the gate are supposed to fold in, however gate didn't retract in this incident. As a result, a two-year-old girl suffered serious injuries and was taken to the Queensland Children's Hospital where she remains in a critical condition with facial and abdominal injuries. Queensland Ambulance Service also transported a 39-year-old woman and a one-year-old child to the same hospital with non-life-threatening injuries. A 39-year-old man was taken to the Royal Brisbane Hospital with non-life-threatening injuries. Police say the family are from Kensington Grove in the Lockyer Valley. News Mandalay woman spent 26 years in RAAF. Whats On Reef lovers, this event is for you. Crime Bowen man faces court after refusing to leave club. Sport This teenage cannonball blasted out of the blocks for a gold medal.